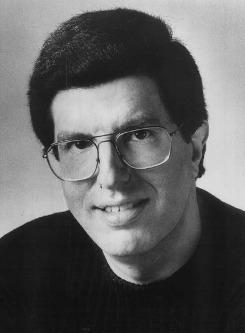 When Marvin Hamlisch passed away, I felt sad, like so many others who had enjoyed his music for so many years. He was a prolific and award-winning composer. According to his obituary in The New York Times, “…he won three Oscars, four Emmys and four Grammys.” And let’s not forget the Pulitzer. He wrote the music for The Way We Were, and Nobody Does it Better, songs that were written for movies, but also became big radio hits. If I hummed a few bars, you could all sing along; they were that big. He was young, only 68, which means he was in his late 30s when I met him. I had no idea who he was. My first job out of college was as the traffic coordinator at a Boston radio station, WVBF-FM, known as F-105. The now defunct station played top 40 hits and was actually in Framingham, MA, along with its sister station, WKOX. As traffic coordinator, I was responsible for scheduling commercials and making sure that they ran as scheduled. If there was a problem, I scheduled “make goods.” If we had slots that had not been purchased, I plugged in PSAs (Public Service Announcements) and extra airings of whichever customers needed a boost. The process computerized on my watch, which made a rather simple job that much simpler, so I apprenticed myself to our Music Director and started learning how to do his job. Then he left. In addition to my real job, I became the Assistant Music Director to – nobody. That meant that I inherited the job of meeting with artists who were touring radio stations to promote their records (by which I mean records, the vinyl kind). The record company representative would call me to arrange a time, and when they arrived with the artist, I’d listen to the new record and chat with them for a while. If I liked the record, I would add it to the rotation and we’d start playing it. Then Marvin Hamlisch came to town. The movie, Ordinary People, had been released, along with his score which included a version of Pachelbel Canon in D. When the rep from Planet Records (no relation to the company by the same name currently operating in Cambridge, MA) called to schedule a visit, I asked him what else Mr. Hamlisch had done. He had no idea. This was 1980 and A Chorus Line had been on Broadway since 1975, but neither the rep nor I knew that Marvin Hamlisch had written the score. Briefly, I was stymied, but I pushed on talking about this and that. At some point we got onto the subject of an elaborate stereo system that he was installing in his home. That he was happy to tell me all about. After fifteen minutes or so, the rep wandered back and they left. I’m vaguely embarrassed by this story, but I was only twenty-one at the time, and as far as music went, I was all about rock and roll. A lot has changed since then, and when Marvin Hamlisch passed away, I took a moment to send up a silent apology for my naïveté, and my sincere thanks for having had the opportunity to spend a few minutes in the presence of what I now know was a musical genius. This entry was posted in Uncategorized and tagged A Chorus Line, F-105, Marvin Hamlisch, music director, Nobody Does it Better, Ordinary People, Pachelbel Canon, The Way We Were, traffic coordinator, WVBF. Bookmark the permalink. I was always ticked off at the fact that Hamlisch won an Oscar for the score of “The Sting,” It was really Scott Joplin music that Hamlisch had arranged. So I vowed never to like his music and, despite his other successes, I kept it. Even a musical genius deserves to be treated like human being at least once! I love Hamlisch for “A Chorus Line” more than anything–showing us the touch of artistic genius that lies in the heart of all who follow their dreams.